There’s a chill in the air, a scarf around my neck and a gallon of post-Thanksgiving turkey stock in my refrigerator, which can only mean one thing -- it’s soup time! 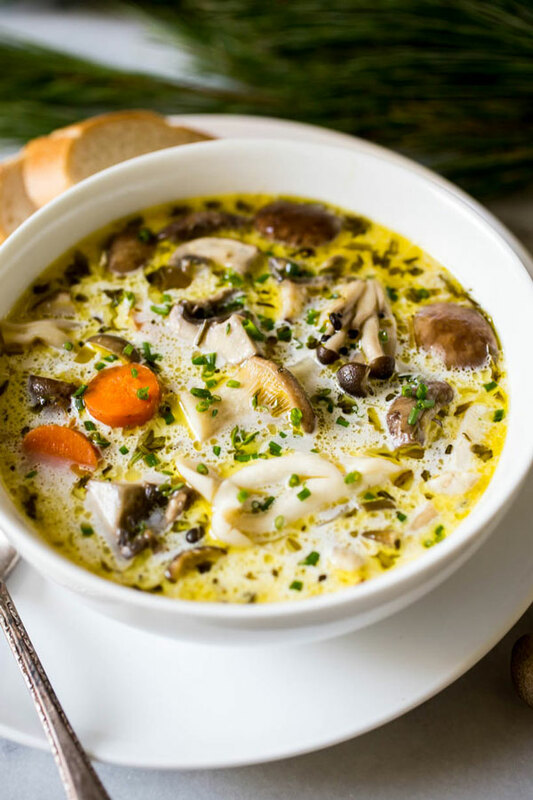 Whether you’re like me and looking for a delicious recipe to highlight homemade stock, or just looking for a cozy, belly warming recipe to enjoy this winter, you’ve come to the right place. 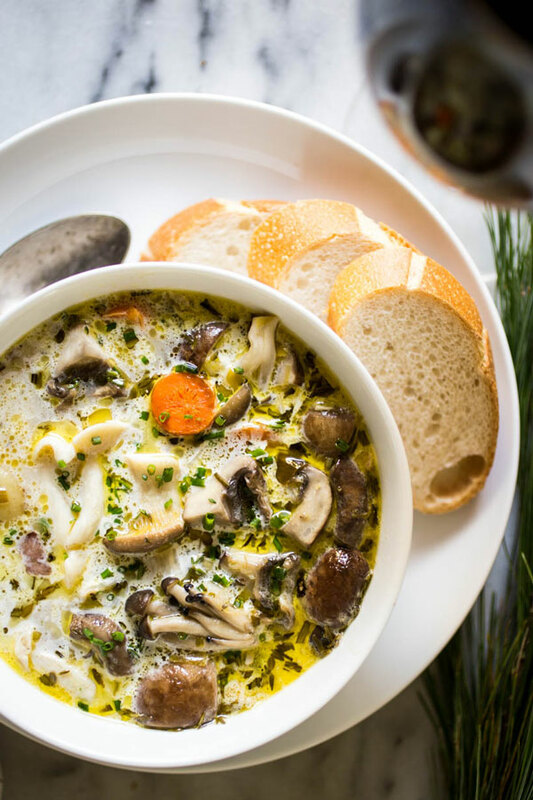 This wild mushroom and herb chowder is the ultimate bowl of cool-weather comfort. A variety of wild mushrooms make it feel special enough for a date night in, yet the recipe is so simple you could certainly prepare it for a weeknight meal. 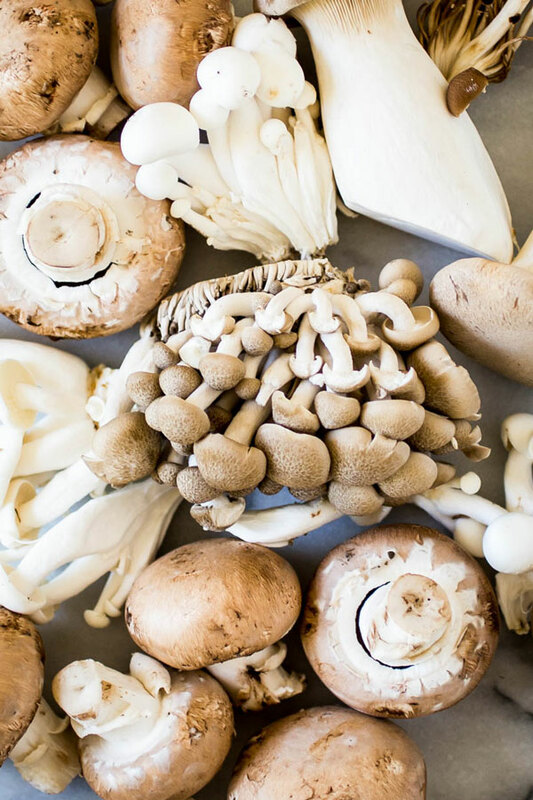 The varying textures and colors make for an incredibly beautiful dish and I loved the opportunity to taste test and compare new varieties of mushrooms that I’d never cooked with before. That said, if you don’t have access to wild mushrooms, you could certainly use whatever is available at your local grocery. Baby Bella would be a perfect substitute because of their meaty texture and earthy flavor. In addition to the star ingredient, this soup is chock-full of fresh, warming ingredients. It all starts with thick-cut bacon, rendered and browned to perfection, and then in go leeks, carrots and celery -- the base for all great soups. The vegetables are scented with fresh, woodsy thyme and rosemary to honor the season and complement the earthy flavors of the mushrooms, and for body and comfort, I’ve added miniature golden potatoes. They’re slightly waxier than traditional Russet potatoes so they boil well without breaking apart, and when halved and quartered they’re the perfect bite-sized addition to the party. Add a little cream to up the indulgence factor and you’ve got yourself a flavor-packed pot of chowder that’s sure to bring on that warm, toasty feeling even on the chilliest of winter days. 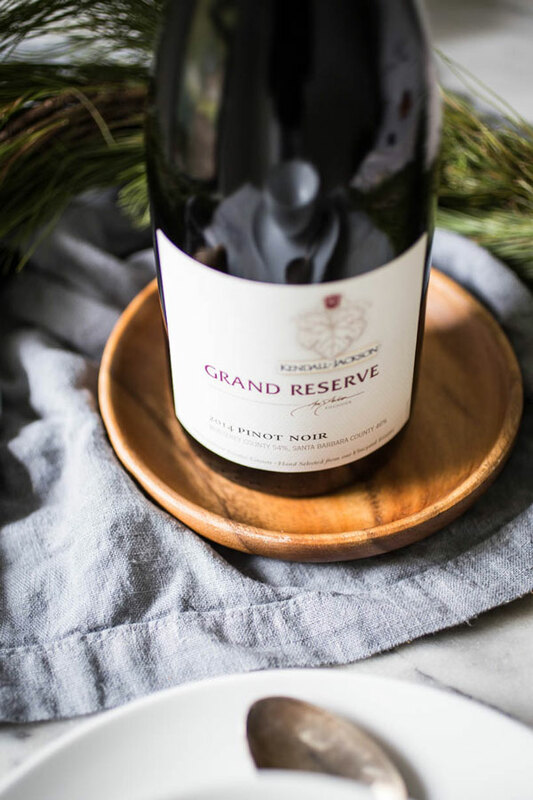 To round out the meal and really elevate the flavors in the soup, serve every bowl piping hot with crusty bread and a glass of Kendall-Jackson Grand Reserve Pinot Noir. This medium bodied, fruit-forward pinot noir is bursting with notes of wild strawberry and black cherry that are balanced with earthy hints of forest floor and dried leaves, resulting in the perfect complement to the woodsy herbs and mushrooms in this dish. Enjoy! Pair with a bottle of Kendall-Jackson Grand Reserve Pinot Noir. In a dutch oven or large soup pot, cook the bacon over medium-low heat until the fat has rendered and bacon has browned slightly. Add the leek, celery, carrot and garlic and cook until soft and transparent, stirring occasionally, about 10 minutes. Add the thyme, rosemary and bay leaf, and stir and cook for about a minute, then add the sherry. Cook for about 5 minutes, scraping any browned bits off of the bottom of the pan. Add the chicken broth and potatoes. Bring to a boil and cook until the potatoes are fork tender. Add the mushrooms and simmer for another 10 minutes or until tender. Stir in the half & half or cream. Season with salt and pepper, to taste. Serve hot, garnished with chopped chives with crusty bread for dipping, alongside a glass of Kendall-Jackson Grand Reserve Pinot Noir.